There are very few plants which grow well in summer heat of lahore. Our summers are constantly over 40C. But there are some flowering plants which take the heat very well. Here are some of the flowers showing their grace in our hot summers in June. These are Purple Buddleja and Cassia nodosa Pink Shower. This is purple dwarf buddleja. Probably a variant of buddleja followiana and buddleja davidii. It is fragrant and heat tolerant. Not all purple buddleja plants are heat tolerant but this one is. It tolerates our monsoon rains too. It is planted in my soil bed. It needs excellent drainage so its soil mix must be well draining perhaps adding peat moss will be better. The other tall variants of buddleja are not as easy to grow in lahore. Dwarf buddleia nanho perform much better. 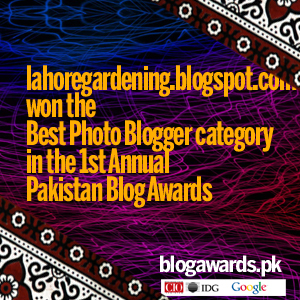 A variety named “Flower power” also perform relatively well in Lahore. It can be propagated from cuttings very easily which are planted in winter in sand. 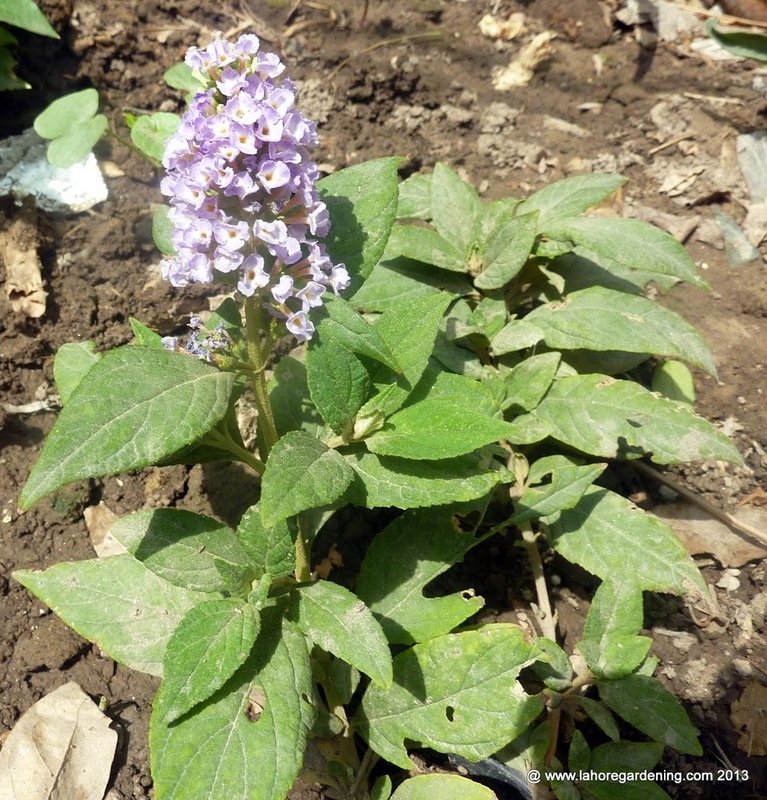 A winter flowering buddleja called buddleia Asiatica has almost naturalized in Lahore, you can can see its flowers on this post of mine Winter lilac in my garden. 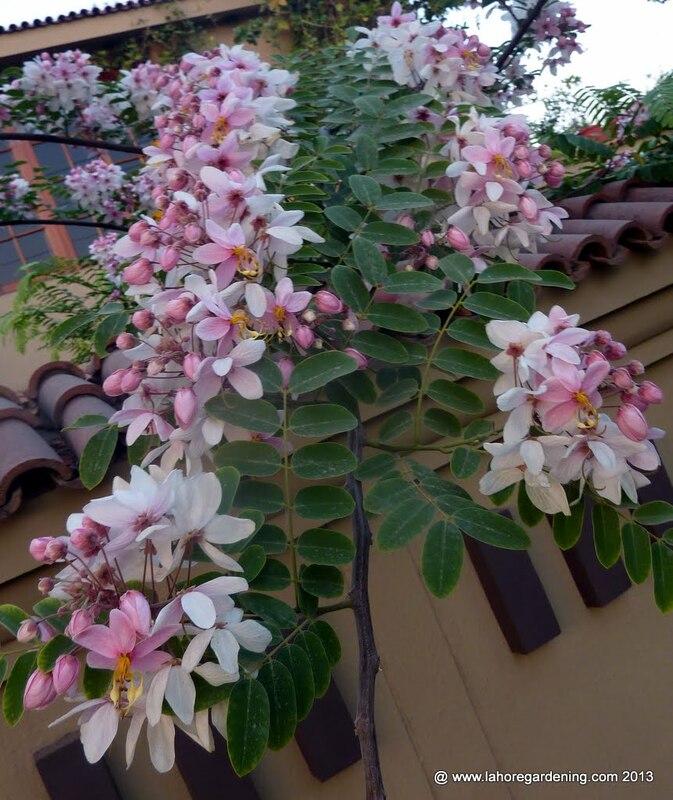 This is cassia nodosa, a tropical summer flowering tree. It flowers in our summers when there are very few trees in bloom. Ofcourse cassia fistula is another summer flowering tree. Cassia nodosa is loaded with flowers in summer. Young plants need protection from winter. Lovely shots of the Cassia flowers. Looks wonderful! We are having a very hot spell here at the moment (France) …about 35 C. Nothing in comparison! Keep cool! 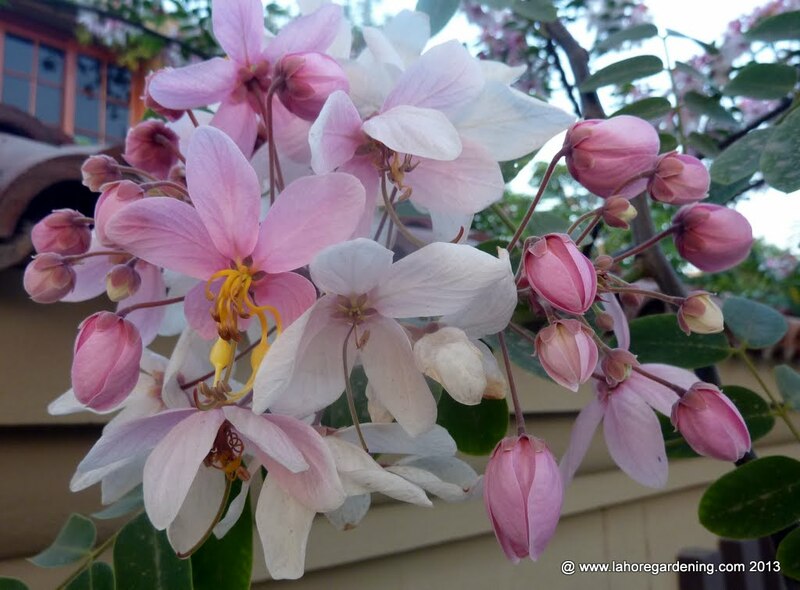 Gorgeous photos…love the Cassia flowers! I like the cascading effect of the Cassia flowers, very delicate. So many little flowers beautifully gathered together and “smiling” in the sun! Gorgeous photos.